Spring is a time of new life! Easter has special meaning for Christians because we celebrate Jesus’ resurrection from the dead. All of us will enjoy the new life of eternal life on the Last Day. 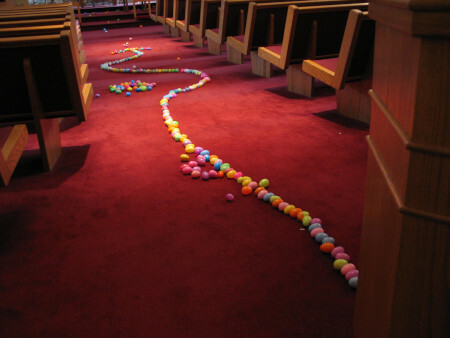 At or Easter for Kids event all of our crafts, songs, books, games, and snacks will communicate the joy of new life. Come and learn all that Jesus has done for you! What better way to top off the event than with an INDOOR egg hunt! There is no cost for the event. We can’t wait to meet you! Thanks for a great event! Check out the pictures HERE.